Best Cuba Guide › Forums › General › Info is wrong : US flights go to terminal 3, not 2 as printed. As a professor of Spanish with many trips to Cuba. I find the guide good, but there is one major omission. There should be a half/entire page about entry into Havana airport: like immigration procedures(now much simplified), e-raying the hand luggage, and customs (also much simplified). This is the first exposure a traveler will encounter and the author does not cover this situation. Info about is wrong : US flights go to terminal 3, not terminal 2 as printed in text. As you probably know, there have been flights from the USA to Canada for many, many years. Most of the people flying from Miami to Florida used to be Cuban Americans who were visiting family in Cuba. 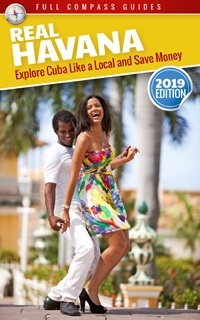 Once the restrictions were eased by the Obama administration, the number of flights increased and regular American started to come to Cuba for various purposes. It handles mainly scheduled Special Authority charter flights to/from the United States. It’s located on the north side of the airport in front of runway 24 threshold. This terminal had been undergoing extensive renovations and expansion in the last few years. This is the largest terminal and the most modern. It was inaugurated in 1998 by Fidel Castro and Canada’s Prime Minister Jean Chretien. It handles flights for more than 25 international airlines, serving approximately 60 destinations in more than 30 countries. It’s located halfway down the north side of the runway. Terminal 3 is much nicer than Terminal 2 and the Cuban government is trying to make it the first impression that tourists see when they arrive in Cuba. That being said, I have frequently been routed to Terminal 2. It really depends how congested the airport is and how much renovation is being done. Things change very frequently in Cuba. The 2017 edition of the book was finalized in December 2016. There have been changes in Cuba since, and I will clarify that both terminals are used for international flights. As for the immigration procedures, I will be including more info on that topic. I think for arrivals by air, the procedures are pretty straightforward as I do not notice much difference between arriving in Cuba vs most other destinations. As you say, the procedures have been greatly simplified. I will make this clear in the new edition. 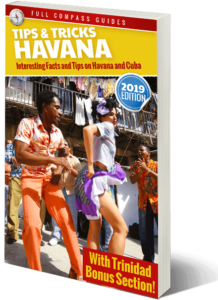 Also, as many Americans are now entering Cuba via cruises, I have already written a new section for Cruise ship arrivals with all that info. Thanks for your great comments and for taking the time to write me. I hope you enjoy all your travels to Cuba and that I was able to help. Reply To: Info is wrong : US flights go to terminal 3, not 2 as printed.